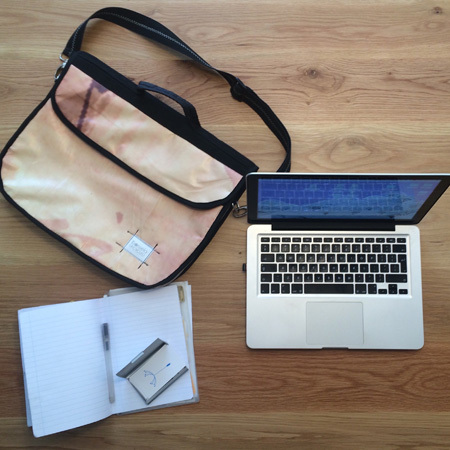 This upcycled billboard vinyl laptop bag is made to fit all you need for a successful office or school day! 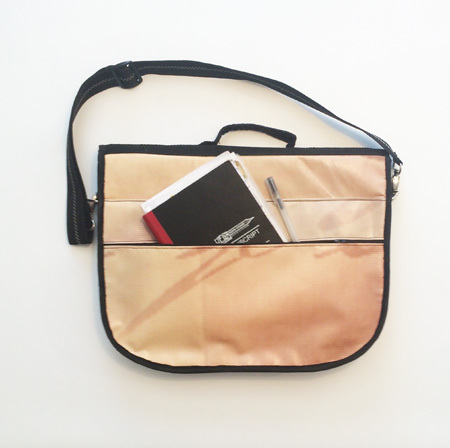 They come in various colour options and are reinforced with foam to make it a highly durable utility laptop bag. The Bonsela Upcycled billboard vinyl laptop bag range is made out of old billboard material, that would normally be thrown away. 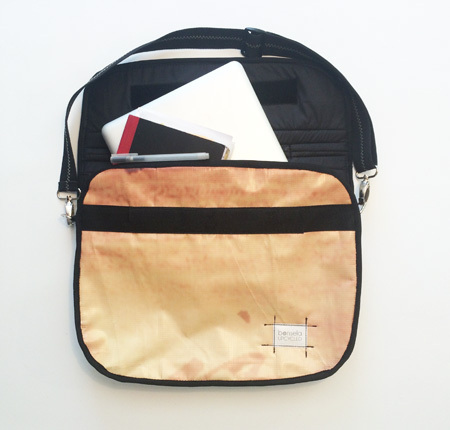 Our aim is to create funky and functional bags in order to reduce waste and repurpose the advertising vinyl long after the campaign is completed. Some parts of the material may show imperfections, such as small scratches, due to the nature of an upcycled waste material. However that is not changing the functionality of the bag, it only gives our Bonsela upcylced billboard vinyl bag range its character. Please place your bespoke colour order by emailing us 3 of your favourite colour options and we'll get back to you with availability. Production lead time for bespoke orders is 3 weeks and depends on vinyl availability.